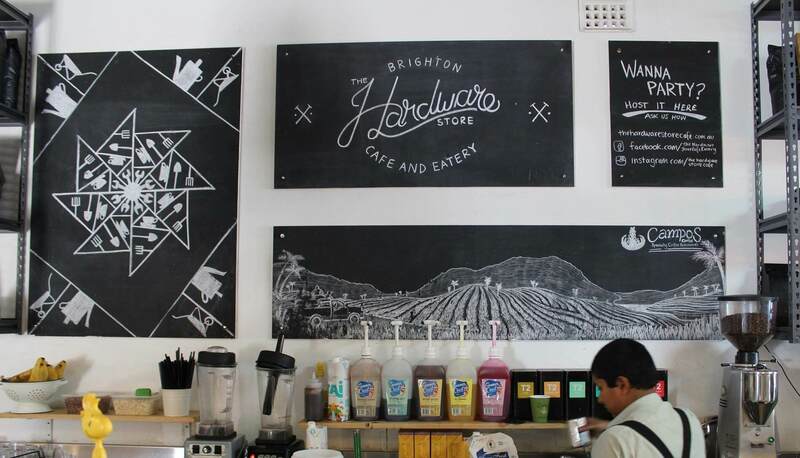 The Hardware Store is unlike any other café in Perth. Decorated floor to ceiling with hardware paraphernalia, it carries it’s theme through to every last detail. It can be easily confused with your Grandad’s shed, but with much better coffee. The open space flooded with natural light invokes feelings of nostalgia as well as being an aesthetic feast for the eyes. 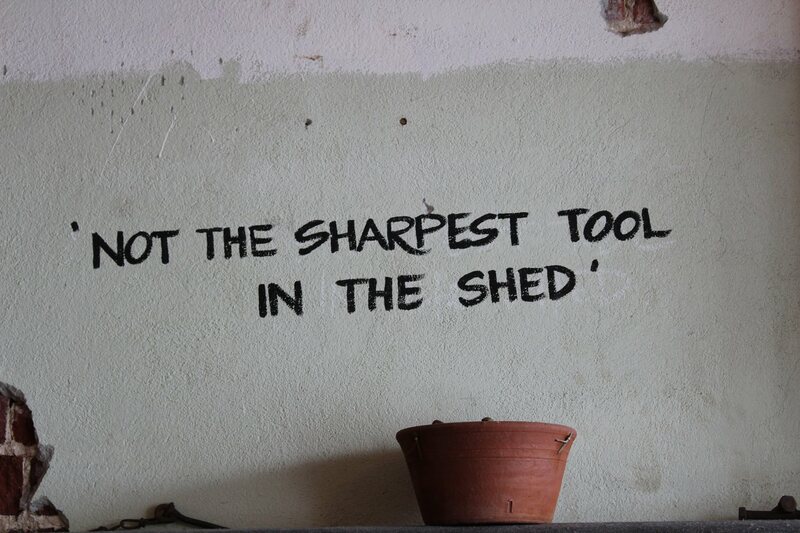 The artfully arranged walls adorned with tools, messages, and an assortment of other items will give you something new to discover with every visit. Just over two years ago, business partners Sean McCann and Guy Hodgson took over the space where S & L hardware resided for nearly 60 years. No stranger to setting up cafes, with well-known venues like Bib & Tucker under his belt, Sean was tasked with giving the empty shell life. The idea to pay homage to S & L Hardware came with a literal knock on the door. Many ex customers wanted to know what had happened to their local hardware store as many had been regulars for decades. With each conversation, Sean realised just how important S & L had been to the community, and propositioned to his business partner to carry on the spirit of the hardware store. This began the mighty search for decorations to fill the walls, including a visit to Bills Machinery which is 15 hectares of bits and bobs. 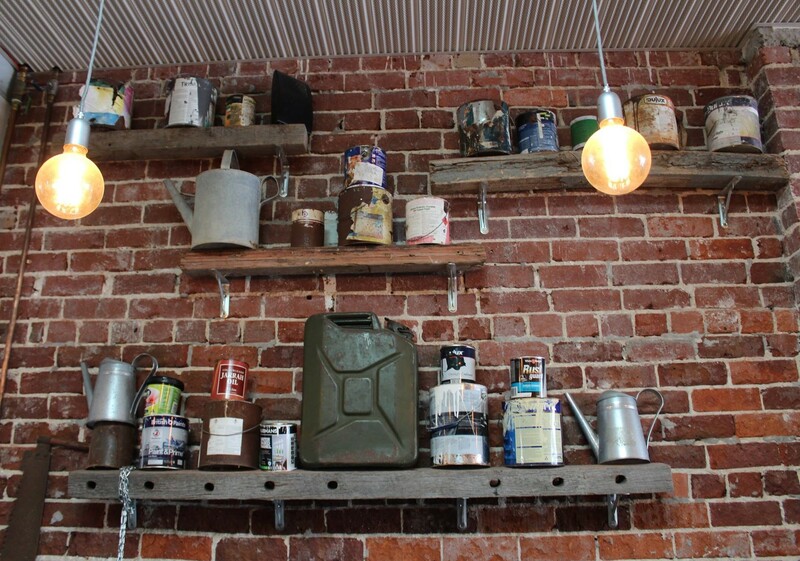 To compliment the hardware store feel they exposed the brick walls, opted for custom made wooden pallet tables, hanging planters, toolboxes for cutlery and watering cans in the place of water jugs. It is made even more special with items personally donated by customers. One particular lady gifted a double ended saw Sean had been chasing for some time; her husband had loved the old hardware store and she wanted the café to have it. For Sean, being unique needed to be carried through not only the fit out, but the menu as well. 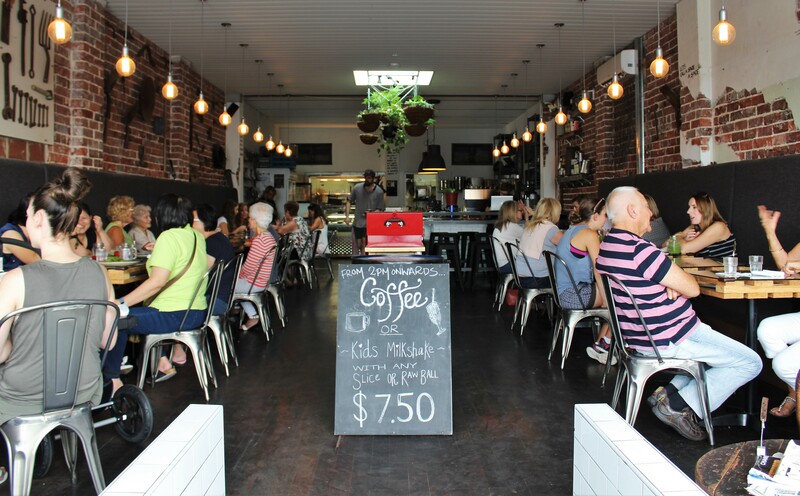 The first thing they did was to visit every other café in a 5 kilometre radius to see what they had on their menus. In doing this, they realised many had a solid breakfast list but the lunch menu was lacking or vice versa. Drawing from this, they went about designing a menu that would delight throughout the entire service. They also focused on providing food that stands out from what everywhere else is serving. They still offer the favourites, but with a makeover and a modern twist. ‘Eggs benedict’ became ‘herb crumbed poached eggs’ swapping out bacon for crispy prosciutto paired with a chive and potato rosti, topped with pickled enoki mushrooms and drizzled with hollandaise. He wants his customers to be able to choose from a menu that is diverse, with reinvented options that they won’t find the same anywhere else. If are having trouble deciding between the delicious breakfast options, Sean insists he dreams about the ‘toasted tortilla’ - it’s that good. For lunch he recommends the ‘parmesan herb crusted chicken’, a recipe of his own invention, if you are after a healthy selection. On the other hand he will opt for the club or pulled pork sandwiches if he is ready for a hearty feast. Customer favourites include the zucchini and sweet corn fritters and summer salad. The Hardware Store changes its menu twice a year, altering seasonal items and refreshing older items that aren’t selling so well with something new. The aim is to give the customers have a tough time deciding between a host of great options. This includes catering for regulars, the ever evolving menu keeping them coming back and discovering something different to try with each visit. If you are in a rush or after something quick and easy, you can always make a selection from the cold bar. Filled with baguettes, arancini, patties and the like, its contents change daily. This is where all the delicious cakes and slices waiting to accompany your coffee live too. After food service hours, this is a great go to. The barista’s brews use Campos coffee beans, a business Sean has had a relationship with for four years. Originally from Sydney himself, he realised Campos hadn’t yet made its way west upon his arrival in Perth. A smaller roaster, they are passionate about producing a quality and consistent product. Having travelled to the places where they handpicked the beans, they are very selective of who they choose to buy from. 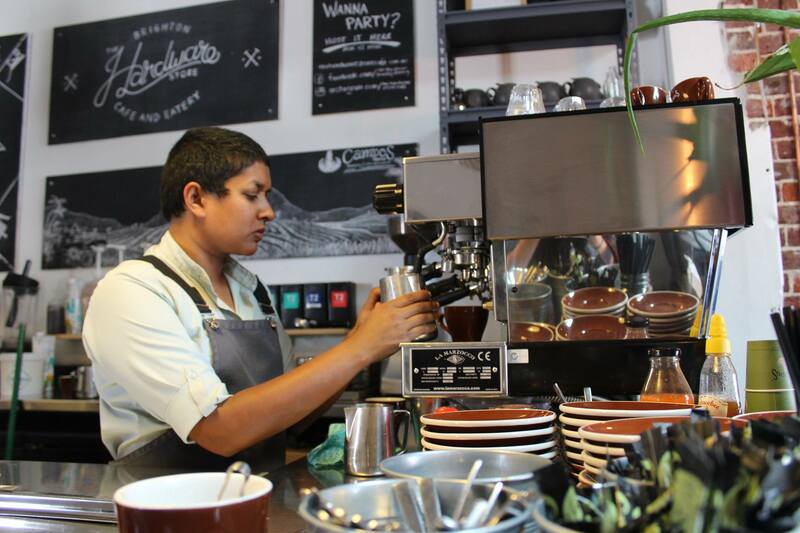 The Hardware Store is one of only a handful of venues now to use Campos beans to sate your caffeine addiction. 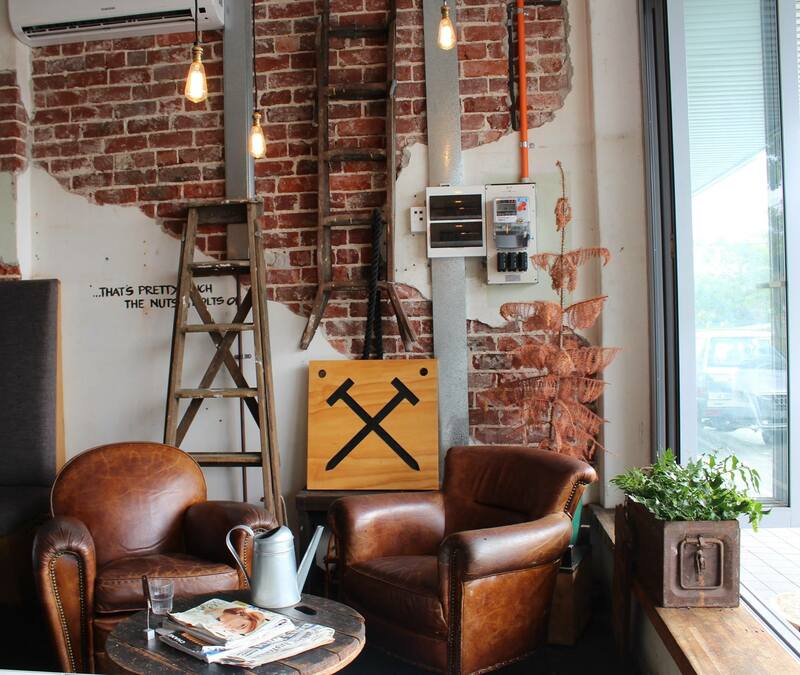 With its original styling, The Hardware Store Café is in a league of its own. With a bit of creativity and hard work they have created a space that will get people talking, and a great menu to keep people coming back. Open from 6.30 am to 4.30 pm 7 days a week. They also accommodate private functions upon enquiry. You can find them on Facebook, Instagram or check out their website.